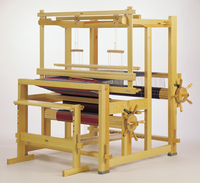 Learning about looms has several subsections. Please select a topic area from the menu on the left. There is a wealth of information in these sections. 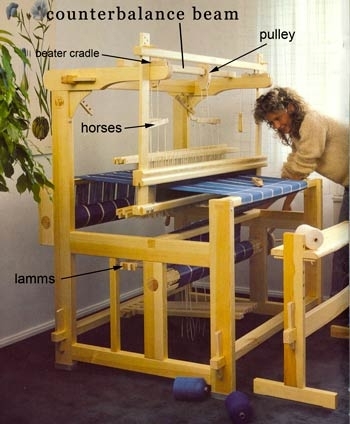 If you already have a loom, click on the first button, Basic Loom Information for help with your loom. 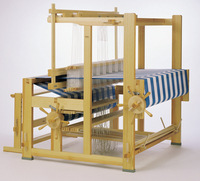 Take your time and please call us if you have questions about weaving or about looms. 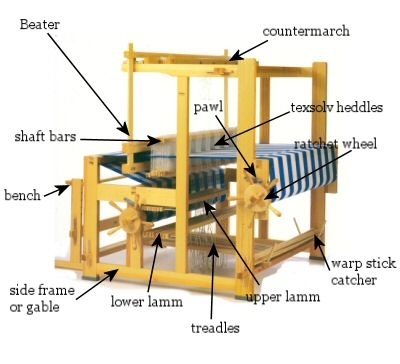 Below is a diagram of common components of a floor loom.